This Master’s degree is designed to train architects in the field of monument restoration, bearing in mind that historical construction techniques have heritage value in their own right. 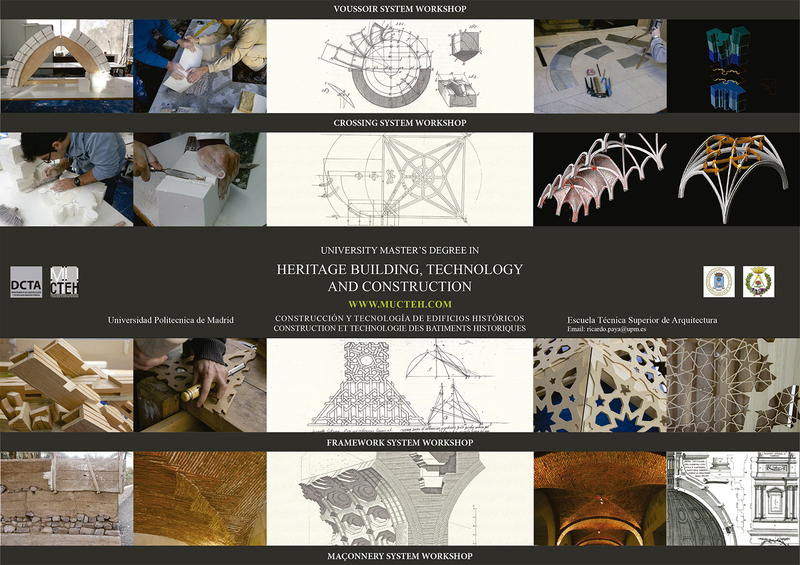 The degree aims to promote a deep knowledge of historical construction techniques with two main objectives: their faithful application in restoration tasks and, in consequence, the recovery of traditional construction crafts. It also aims at generating research in a field which was vital for architects at the end of the 19th century: the History of Construction. The emergence of new international architecture made the interest in finding explanations for construction in the past decrease gradually in the 20th century. Luckily, today we now witness a reborn interest in the construction of past architecture. Taught by Escuela Técnica Superior de Arquitectura of the Universidad Politécnica de Madrid, in Spanish but with assistance for English and French speakers.